Coming this summer, a movie directed by a director and starring Name Surname: The Title. Based on the bestselling novel by a writer. Watch the thrilling trailer here. Also available as a T-shirt. The Starks’ fab six pets get the Experimental Jetset treatment thanks to Brooklyn-based Fencing & Archery Printing Co. The hand-printed designs are available on a tank top, t-shirt and hoodie. Featuring 12 fictional characters Supermanned by artist Mike Mitchell. 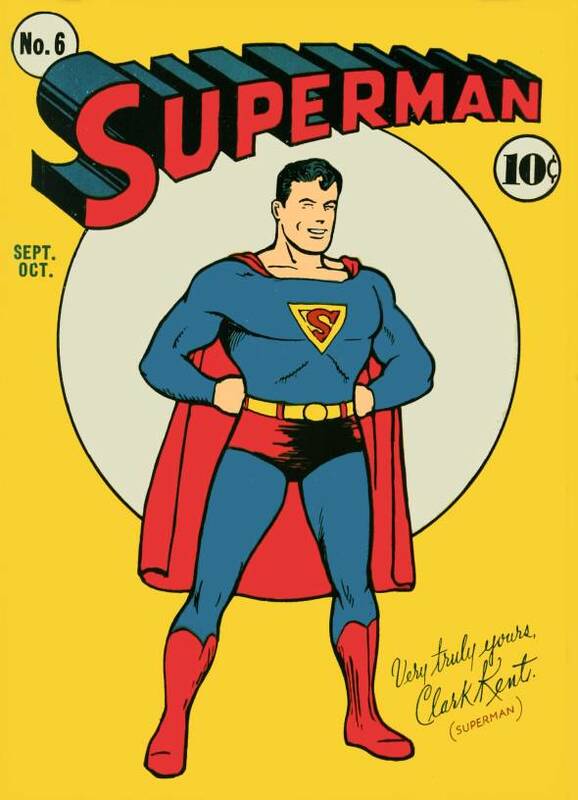 Mitchell based his mashup on the cover art of Superman #6. Hopefully he’ll re-release prints of each illustration soon. A reminder that the dead have been walking long before Robert Kirkman and his comics came along. Though we’re not sure if a mob of hipster mummies would be as scary as zombies. ThreadLab aims to make kits of clothes that people can customize using iron-on adhesive, no sewing needed. Their first kits are men’s shirts that come with multiple collars, cuffs, pockets and dyes. Chop Shop offers a nudge and a wink to Monty Python’s Flying Circus with this print loaded with dozens of references to the classic British comedy show. Also available as a t-shirt. Hi-res image here. David Creighton-Pester turned the characters and creatures of Star Wars into sports team logos. The designs are available as prints, gadget skins and cases, t-shirts, hoodies and more. Han Solo meets James Bond in Ian Leino’s latest t-shirt design, a must wear for Star Wars or 007 geeks. New customers get $5 off their first order through 12/9. Greedo doesn’t stand a chance. 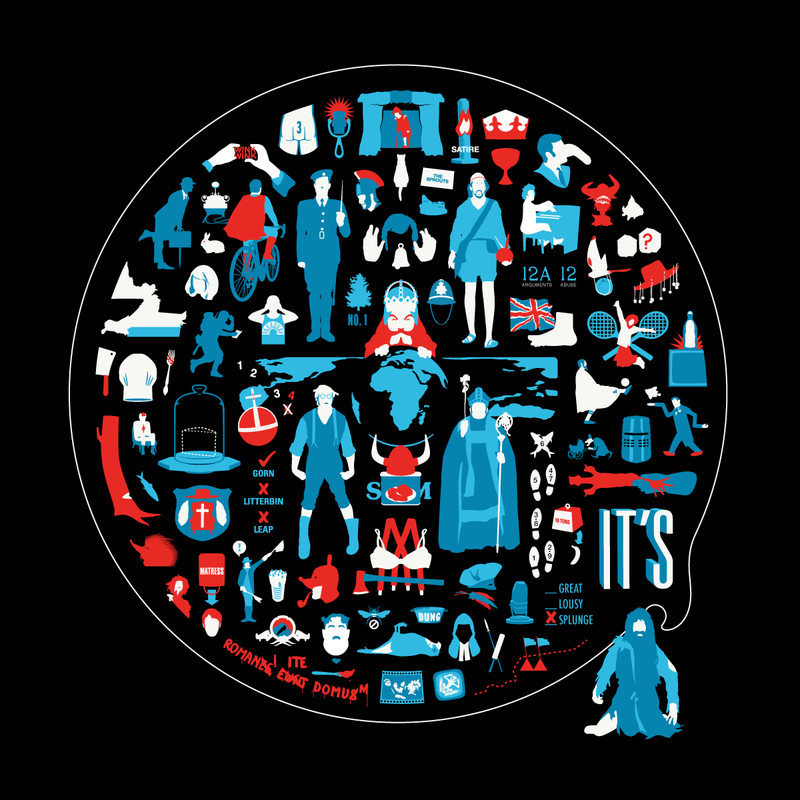 Our fave almost award winning folk duo gets a nice tee treatment from TeeKetch and TheYetee.com. The site sells a limited edition design for $11 daily. Grab this sweet torso cover before it’s too late. A joke so dumb that it’s not supposed to work, but it does. The longer we stare at it the funnier it becomes. Which is why it’s a shame that artist Mike Mitchell is going to phase out the design. Sebastian Errazuriz was inspired to make these T-shirts after seeing the water lines in the walls of some of the flooded art galleries in New York. 100% of profits go to Hurricane Sandy relief efforts. Do you think that you’ll find better Sherlock t-shirts if you scoured the Web thoroughly? No you won’t! The family crests are a nice touch. The designs are also available as prints. If you loved Out of Print’s tablet cases, check out their t-shirts and fleeces, which also feature licensed book cover art. Out of Print also donates a book to Books for Africa for every product sold. Winter is coming and so is the Bronze Age in this amusing tee from Redbubble artist barefists. Until our beloved show returns, put a thermal on under this, kick back and watch some old school cartoons. You don’t have to be a Jedi to relate to this funny t-shirt. The illustration is taken from Jeffrey Brown’s book Darth Vader and Son, a touching “what if” of Anakin and Luke’s relationship. A masterfully-designed series of Star Wars tees by artists Mitch Bwoy and Shogun for UK wearables line Addict. While C-3PO, R2-D2, Fett and Vader are pretty great, we still can’t resist Slave Leia. Thanks to the Internet, literally anyone can share his or her thoughts, ideas and opinions with the world. Dammit Internet. Thanks to ThinkGeek, we now have an idea for a Halloween costume. We’re loving both the Egyptian-themed and original graphics on these handmade, silk-screened jams from the curated shopping experience that is Seattle’s Cairo Vintage. We already know that dogs paved the way for manned space flight, but why not cats instead? Show your support for the feline space program with this limited-edition tee by Austin Martin. Bamboota pays homage to the French electronic duo, whose partnership has made millions around the world dance harder, better, faster, stronger to their robot rock and technologic music. Sticker too. A classical depiction of the Triforce from The Legend of Zelda by graphic designer Cory Schmitz. Available in Gold/Black, Bronze/Green and a limited edition Black/Gray. Also comes with 1″ pins. An programmable platform for displaying videos, images and animations on a t-shirt. The design includes a large LED grid, speakers, camera, microphone and an accelerometer for interaction. While it may be hard to justify paying almost $50 for such a simple t-shirt – and an unlicensed one at that – you’d be surprised how hard it is to find the same design on a good fitting tee. UK-based apparel shop Lazy Oaf collaborated with DC comics to release a line of fly Batman clothing and gear. The shirts, sweatshirts and T-shirts feature large prints of Batman and his logos. …it is worshipping the dark lord. That’s the keen observation made by Jerrod Landon Porter in his amusing design featuring kitty and his pentagram of cleanliness. Available as a t-shirt or hoodie. The awesome James t-shirt by skate, surf and snow fashion brand Neff, featuring a lion wearing a cap backwards. The t-shirt is available in black and white. We need a wallpaper of this graphic. This officially-licensed Marvel t-shirt has a glowing “arc reactor” in its chest. It’s makers make no claims about it keeping shrapnel out of your heart, probably because only it runs on AAA batteries.